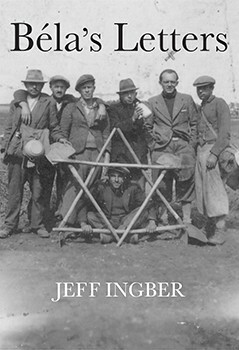 The vast tragedy of the Holocaust is brought to heartbreaking life…This is a book that deals honestly with the sharp edges of guilt, remorse, and aftershock common to survivors of traumatic events. A captivating work of historical fiction. Béla’s Letters is a masterful illustration of the horrors of war and how it could destroy a family, but beneath the grueling tale of pain, there is hope and the relentless struggle to remain together. Béla’s Letters is proof that, under the right pen, history can come alive. Fast-paced and well-written, with a captivating plot and likable characters. This book stayed with me long after I finished it – a sure sign of skilled storytelling. It is an important addition to the history of the Holocaust. There are many Holocaust novels of various genres. This novel, however, is like sitting at the kitchen table listening as your grandfather describes the events in a way that makes it completely and unforgettably personal. This is your family, their story is your story. A hauntingly beautiful tour through history. “Béla’s Letters” is an historical fiction novel based on the true, remarkable life story of Béla Ingber. Béla was born before the onset of WWI in Munkács, a small city nestled in the Carpathian Mountains that belonged to the democratic nation of Czechoslovakia until being occupied by fascist Hungary and then by German forces during WW II. Béla and his family were part of an extraordinary Jewish community, known for both its religious fervor and its Zionist movement, that had thrived for centuries until being eradicated less than a year before the end of the war. The book spans the years from 1928, when Béla is a teenager, until his death in 2003. Through both Béla’s own voice and various poignant letters sent to him over the years by family members, it tells of Béla’s extraordinary experiences during years of harsh imprisonment in the Hungarian labor camp system. The struggles of Béla’s nuclear and extended family to comprehend and prepare for the Holocaust are portrayed, as are the fates of various members of a family torn apart by the war and Holocaust and the implausible circumstances that the survivors endure before reuniting. Béla also tells of meeting and falling in love with his wife, Marika Leiner. Marika endures the terror of living on her own as a teenager with false identity papers in a city, Budapest, that is ravaged by some of the fiercest street fighting of the war as well as by the horrors inflicted by Adolph Eichmann and his henchmen together with the murderous Arrow Cross (the Hungarian Nazi Party). The second half of the book describes Béla and Marika’s escape from Soviet-ruled Eastern Europe to Italy, their struggle to begin their lives anew in the United States, the crushing impact on them of their wartime experiences, and the feelings of guilt, hatred, fear, and abandonment that haunted them and the other Ingber family members. At the core of the book are the letters and postcards written to Béla, which were his lifeline and remained so, even decades after the war ended.